You know we’re heading into harvest season when local breweries are mixing seasonal crops with craft beer. Two new seasonal brews will be unveiled this weekend. Downtown’s Angel City Brewing is up first with the launch of its Avocado Ale at its aptly-titled Avocado Festival on Saturday, which includes a guacamole contest. Food trucks like Steel City Sandwich and Octopops will also be on hand. Torrance’s Smog City Brewing has added wild fennel growing in Playa Vista to a 5 percent alcohol by volume Scotch Ale they will tap Sunday dubbed Fennel of Love. These flowers are not to be confused with fennel seed or fennel pollen, the flowers impart a subtly sweet anise character into a lightly malted and fruity beer. The result is a subtle licorice and fruity aroma balanced by a smooth crisp and lightly malty beer ending in the perfect amount of roast character thanks to the midnight wheat for added balance. Ooowee Baby, Won’t You Let me Take you on a Beer Cruise? But what’s being billed as the first pair of craft beer-themed cruises (the first sets off next month from Mexico to Hawaii) in the industry sets sail from San Pedro next April. 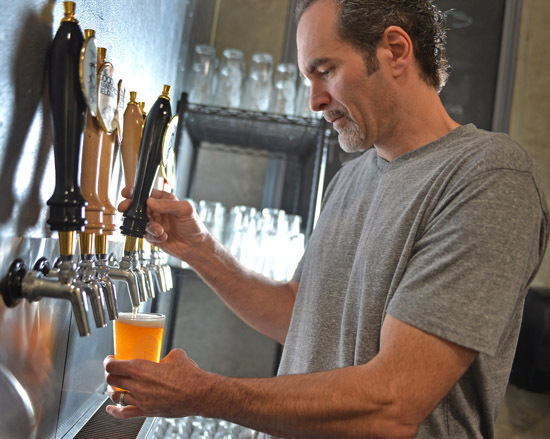 The seven-night California Beer Festival at Sea departs on April 12, 2014 from the Port of Los Angeles and will travel up the California coast with stops in Santa Barbara, San Francisco, Monterey, Catalina Island and Ensenada, Mexico. Included are specially planned beer and lunch pairings, craft beer round table, and CBF Craft Beer Heaven with Ninkasi Brewing Company and Lagunitas Brewing Company participating. Prices start at $639 per person for an inside stateroom to $1.089 per person for Concierge Class. 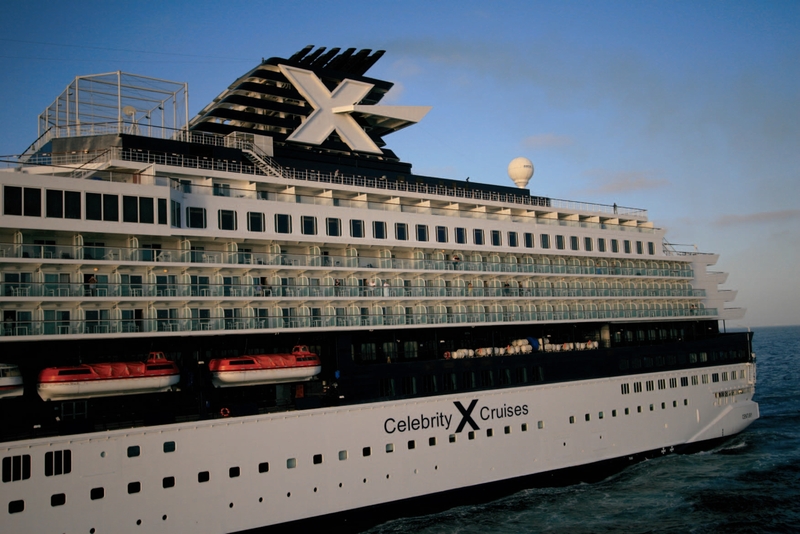 Celebrity Cruises have apparently converted several of their Michael’s Clubs that used to serve cognacs and other fine liquors into craft beer venues that serve about 60 microbrews including Celebrity Century, the vessel hosting the California Beer Festival. Owner Chris Sparacio has opened Timeless Pints in Lakewood (Photo by Staff Photographer Robert Casillas). Lakewood’s Timeless Pints Brewing Co., became the latest entrant into the fast-growing Los Angeles County craft beer scene when it opened its doors this weekend. It’s a familiar story: home brewer seeks to turn hobby into business and the result is the first craft brewery in the Long Beach area. And while the brewery is new, Sparacio has gone for that ageless feel with whimsical beer names like A Precarious Proposal Amber Ale and a Taste of Fate Red IPA. 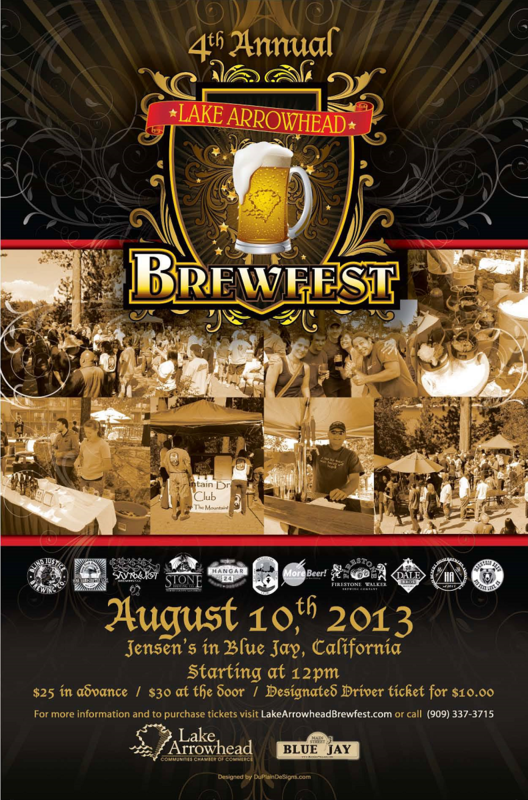 The Taste of Brews is returning to Long Beach on Saturday, August 24. However, If you’re thinking of going, the time to buy your tickets is now. You see, the price of presale tickets is going up on Sunday (August 11). Beer drinkers…here’s one beer class that has gone to the dogs! Total Wine and More is offering a class that features craft beers which have the word “dog” in their name. 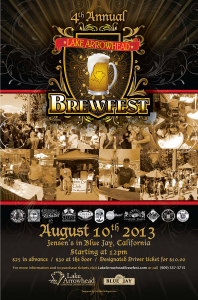 Tickets are available now for the upcoming Brew at the L.A. Zoo, which will take place on Friday, August 9. Several Southern California breweries are among the two dozen-plus brewers, vintners and cider-makers participating in this year’s event.